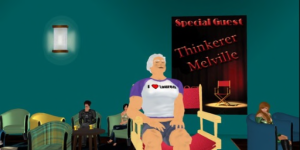 We were honored to have with us as our very first guest, the renowned Thinkerer Melville (AKA Selby Evans), author of the popular blog, Virtual Outworlding. Thinkerer spoke with us about his latest projects: Growing a comedy series. Avatar Repertory Theater (ART) has started a ambitious writing project: to develop a comedy writing team able to produce scripts for a comedy series. The project is led by and is intended to respond to increasing demand for web entertainment content as identified by Amazon and YouTube. Avatar Repertory Theater will work with the writers to present the scripts in its weekly experimental theater event, ART Plays Around. When scripts are ready for production, ART will produce them as videos, post them on YouTube, and seek to market them. 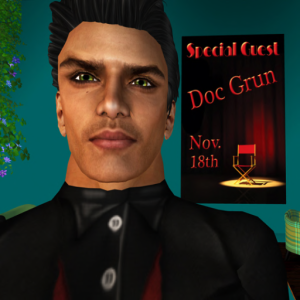 We were very pleased to have as our guest the multi-talented Doc Grun (AKA Doug Green); Writer, Director, Actor, Voice Coach, Director of Photography, Blogger, Stand Up Comedian, regular performer and Guest Host at ‘Lauren Live’ in Second Life every Tuesday at 5 Pacific Coast Time,Second Life Resident, Avid roleplayer and storyteller. He is here with us today to talk about his many current projects. Xara Fiasco is an Australian singer/songwriter and multi instrumentalist. Her music is tongue in cheek smart coupled with an intricately lyrical and a multi textured voice. 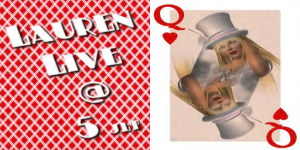 Her piano playing is jazzy, bluesy and achingly soulful; a testament to all those smoky bars and clubs Xara played before debuting in Second Life. Her bubbly and delightfully real personality provided us with a very lively show. Pooky Amsterdam Is Founder and C.E.O. ofPookyMedia, a real-time animation studio and virtual world entertainment company. PookyMedia is a recognized leader in this field and offers highly cost-effective and targeted branding, sponsorship and advertising opportunities through our video services. 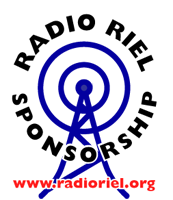 This is the crossover platform between traditional media and the newest video product available. In this episode, Pooky discusses her company’s work and her many machinima projects.